Throughout the years, we have become a trusted company for our customers, due to our expertise in hydraulic repairs, prompt service, attention to detail and technical solutions. We are dedicated to assisting our customers with all of their hydraulic repairs and services. We understand when equipment breaks down, it is imperative to get it fixed quick and right. This is why many people call Pagel Hydraulic when they need the job done right the first time. This saves our customers time and money. 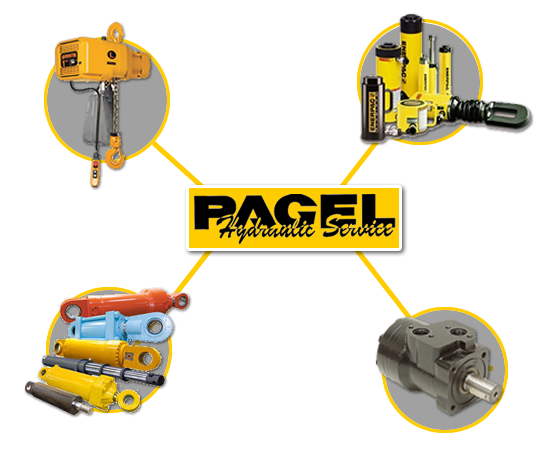 Pagel Hydraulic Service is a family-owned and operated company that has been in business since 1960. We sell new and used hydraulic equipment. We service all makes and models, foreign and domestic, high and low pressure hydraulics for all types of industries, whether large or small. We also accept trade-ins.